What Happens When You Die? 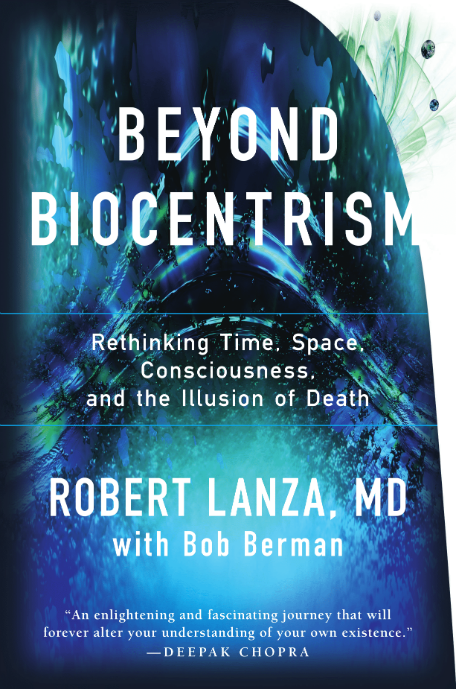 | BEYOND BIOCENTRISM / Robert Lanza, M.D. What happens when we die? Do we rot into the ground, or do we go to heaven (or hell, if we’ve been bad)? Experiments suggest the answer is simpler than anyone thought. Without the glue of consciousness, time essentially reboots. The mystery of life and death can’t be examined by visiting the Galapagos or looking through a microscope. It lies deeper. It involves our very selves. We awake in the present. There are stairs below us that we appear to have climbed; there are stairs above us that go upward into the unknown future. But the mind stands at the door by which we entered and gives us the memories by which we go about our day. Everything is ordered and predictable. We’re like cuckoo birds who appear through a door each morning. We fancy there’s a clockwork set in motion at the beginning of time. But if you remove everything from space, what’s left? Nothing. The same applies for time — you can’t put it in a jar. You can’t see through the bone surrounding your brain (everything you experience is information in your mind). Biocentrism tells us space and time aren’t objects — they’re the mind’s tools for putting everything together. I was a young boy when I realized there was something unexplainable about life that I simply didn’t understand. I learned this from one of the last smiths in New England, when I, as a child, tried to capture a woodchuck on his property. Over his shop a chimney cap went round and round, squeak, squeak, rattle, rattle. One day the blacksmith came out with his shotgun and blew it off. The noise stopped. Mr. O’Donnell pounded metal on his anvil all day. No, I thought, I didn’t want to be caught by him. Yet, I had my purpose. I followed him into his shop, which was crammed with all manner of tools and chimes of different shapes and sounds hanging from the ceiling. Starting the forge, Mr. O’Donnell tossed the trap over the coals and a tiny flame appeared underneath, getting hotter until, with a puff it burst into flame. “This thing can injure dogs, and even children!” he said, poking the coals with a fork. When the trap was red hot, he took it from the forge, and pounded it into a little square with his hammer. He said nothing while the metal cooled. At length, he patted me upon the shoulder, and then took up a few sketches of a dragonfly. “I tell you what,” he said. “I’ll give you 50 cents for every dragonfly you catch.” I said that would be fun, and when I parted I was so excited I forgot about my new trap. The next day I set off with a butterfly net. The air was full of insects, the flowers with bees and butterflies. But I didn’t see any dragonflies. As I floated through the last of the meadows, the spikes of a cattail attracted my attention. A huge dragonfly was humming round and round, and when at last I caught it, I hopped and skipped all the way back to Mr. O’Donnell’s shop. Taking a magnifying glass, he held the jar up to the light and made a careful study of the dragonfly. He fished out a number of rods, and with a little pounding, wrought a splendorous figurine that was the perfect image of the dragonfly. It had about it a beauty as airy as the delicate insect. As long as I live I will remember that day. And though Mr. O’Donnell is gone now, there still remains in his shop that little iron dragonfly — covered with dust now — to remind me there’s something more elusive to life than the succession of shapes we see frozen into matter. Before he died, Einstein said “Now Besso [an old friend] has departed from this strange world a little ahead of me. That means nothing. 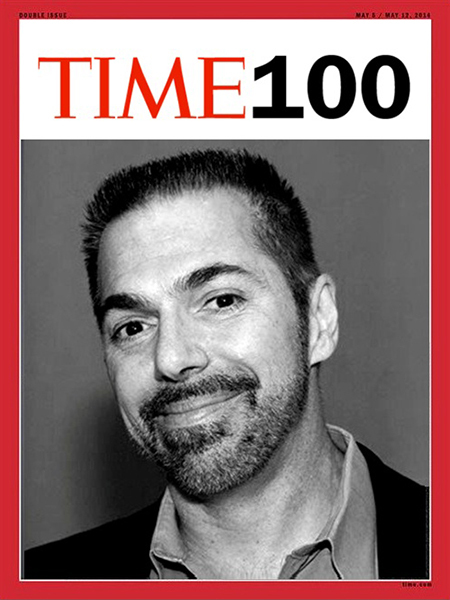 People like us … know that the distinction between past, present and future is only a stubbornly persistent illusion.” In fact, it was Einstein’s theory of relativity that showed that space and time are indeed relative to the observer. 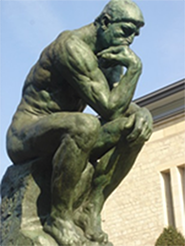 Quantum theory ended the classical view that particles exist if we don’t perceive them. But if the world is observer-created, we shouldn’t be surprised that it’s destroyed with each of us. Nor should we be surprised that space and time vanish, and with them all Newtonian conceptions of order and prediction. It’s here at last, where we approach the imagined border of ourselves, the wooded boundary where in the old fairy tale the fox and the hare say goodnight to each other. At death, we all know, consciousness is gone, and so too the continuity in the connection of times and places. Where then, do we find ourselves? On stairs that, like Emerson said, can be intercalated anywhere, “like those that Hermes won with the dice of the moon, that Osiris might be born.” We think that the past is past and the future the future. But as Einstein realized, this simply isn’t the case. Without consciousness, space and time are nothing; in reality you can take any time — whether past or future — as your new frame of reference. Death is a reboot that leads to all potentialities. That’s the reality that the experiments mandate. And when I see Mr. O’Donnell’s old shop, I know that somewhere the chimney cap is still going round and round, squeak, squeak. But it probably won’t rattle for long. 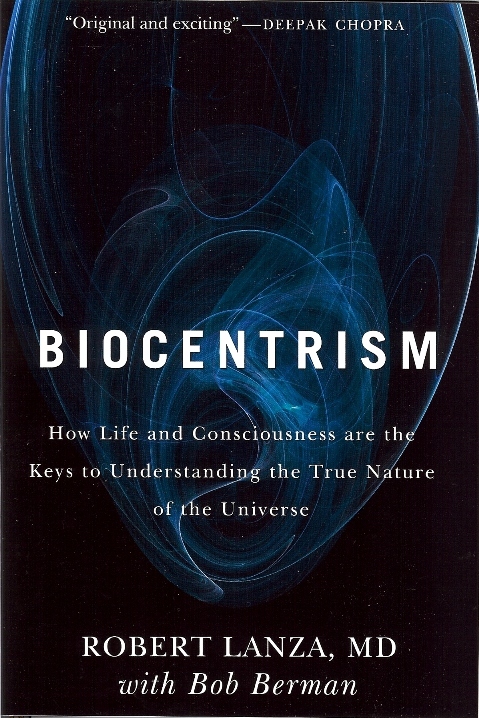 Biocentrism and Beyond Biocentrism (BenBella Books) lay out Lanza’s theory of everything. "Beyond Biocentrism is an enlightening and fascinating journey that will forever alter your understanding of your own existence." 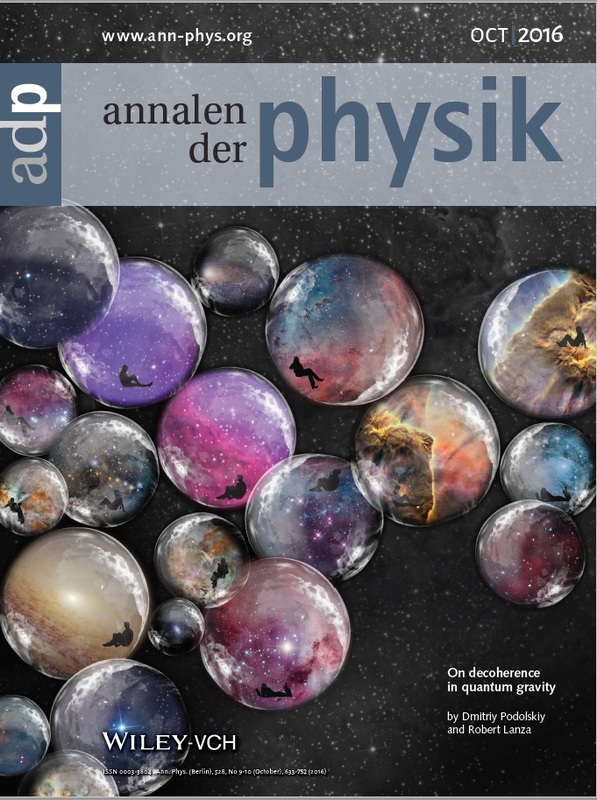 "Beyond Biocentrism is a joyride through the history of science and cutting-edge physics, all with a very serious purpose: to find the long-overlooked connection between the conscious self and the universe around us." "Will machines ever achieve consciousness? Are plants aware? Is death an illusion? These are some of the big questions tackled in Beyond Biocentrism, which serves up a new, biology-based theory of everything that is as delightful to read as it is fascinating." Biocentrism takes you on a seemingly improbable but ultimately inescapable journey through a foreign universe‒our own‒from the viewpoints of an acclaimed biologist and a leading astronomer. 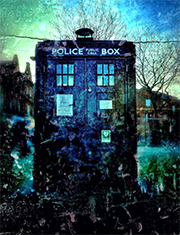 It will shatter your ideas of life-time and space, and even death…you will never see reality the same again. 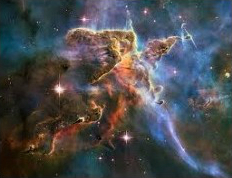 "Like "A Brief History of Time" it is indeed stimulating and brings biology into the whole. 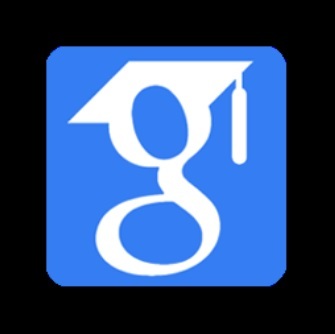 Any short statement does not do justice to such a scholarly work… Most importantly, it makes you think."